Point2 Homes gives you far more than a simple list of houses for sale. Get instant access to a lot of relevant information about Newmarket, ON real estate, including property descriptions, virtual tours, maps and photos. The search results pages also have a wealth of information on Newmarket, ON, if you scroll all the way down. 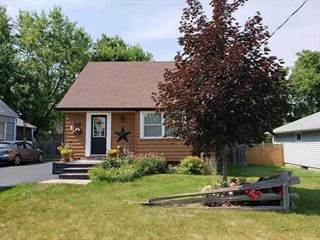 There are 208 houses for sale in Newmarket, ON. 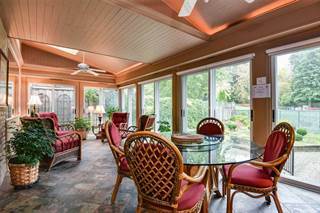 Searching homes for sale in Newmarket, ON has never been more convenient. With Point2 Homes, you can easily browse through Newmarket, ON single family homes for sale, townhomes, condos and commercial properties, and quickly get a general perspective of the real estate prices. Also, you’ll never miss a bargain if you filter listings based on house price drops in the past six months. Use the map view to find Newmarket, ON homes and apartments for sale, based on amenities or city features that you may want close by. You can close in on a specific neighbourhood or area by simply drawing around them with the polygon or radius tools. Stay informed about the latest entries on the real estate market by saving your searches. This way, you get new listings in your inbox, daily or every week, based on your preferences. If you’d like to get in touch with a professional, agents are displayed next to their listings, and they’re easy to contact through the online forms. 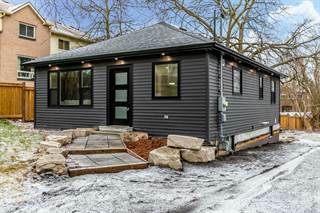 If you want more options, you can click the Tools tab and Find an Agent, and you’ll get a list of helpful and knowledgeable real estate agents in Newmarket, ON. Visit the Point2 Homes blog and you can find up to date expert advice on many markets throughout Canada, regular market reports, neighbourhood scoops in cities throughout the provinces, real estate deals and useful recommendations. Newmarket is a city located on the east coast of Canada, in the province of Ontario. It is considered as part of the Greater Toronto Area. It has a population of over 79,900 people and an area of 38 square kilometers. There are bodies of water that flow through Newmarket, like the East Holland River and Bogart Creek. Newmarket has both rolling hills and flat land throughout it. Even though it is a smaller city, Newmarket has plenty of attractions for its size. There is shopping, heritage attractions and festivals to keep everyone in the city busy and entertained. Newmarket gets its name from being a "New Market". It has all of the shopping that a larger city would have. The Upper Canada Mall is located in the city, offering many different brands in clothing, accessories and electronics. Main Street also offers plenty of shopping opportunities and services. Newmarket as a whole has a high-output of labour force. The city has five target sectors, which are manufacturing, retail trade, health care, technical services and educational services. Each of these sectors are steadily growing larger. Additionally, Newmarket is central within the region making it a great place to move. The city has experienced a growth rate of 30.1% in the span of a decade. 38.1% of all households have an income of over $100,000. This number has increased a great deal as well. 39.5% of residents work within the city of Newmarket. Newmarket has a plethora of free festivals and events to attend. Most are family friendly, with events like Kids Around Town, Moonlight Movies and Discovery and Adventure Night. One interesting event in particular is New’bark’et, an event for dog owners and their furry friends. The biggest attraction at New’bark’et is the pool, which is reserved for dogs-only on the two designated days of the event. Along with events, Newmarket has a strong heritage. There is a museum called the Elman W. Campbell Museum in the city. The museum focuses on discovering and preserving the roots of Newmarket. The museum is located on Main Street, which is a hub full of Newmarket’s entire heritage. Newmarket can be divided into three main areas: Central Newmarket, West Newmarket and East Newmarket. Central Newmarket includes the neighbourhoods of Armitage, Bristol-London, Central Newmarket and College Manor. In Armitage, there are many older families. The community has many schools that cater to these families as well. Shopping is close and transportation is plentiful. Bristol-London is quite similar to Armitage because it is dominated by mostly older families and has great access to shopping and transportation. Residents in Central Newmarket are mainly adults over the age of 40. Although its demographic tends to be on the older scale, the area still offers plenty of schools. This area is very good for shopping as it is extremely close to malls, specifically the Upper Canada Mall. College Manor is filled with residents aged 65 and up. Its location gives it easy access to shopping and other amenities in the area. West Newmarket includes Glenway Estates, Summerhill Estates and Woodland Hill. Glenway Estates is made up of people aged 40 and up. It is in close proximity to an abundance of shopping and other activities. Summerhill Estates is made up of mostly young families. Shopping is easily accessible here as well as schools. The residents of Woodland Hill are mostly young families as well. The community is close to shopping and schools. East Newmarket includes Huron Heights-Leslie Valley and Stonehaven. Young families dominate Huron Heights-Leslie Valley. There are schools to accommodate the children within the area. Shopping isn’t exceptionally far for the residents of the community and transportation is easily accessible. Stonehaven is located in more of the southern part of the area. Young families tend to live in this community. It’s a bit farther from the central area of the city, which means that shopping and amenities aren’t as plentiful. Armitage has many detached, semi-detached and single-family homes. Most properties are owned and less are rented. The houses here tend to be older. Some homes here are affordable but majority are on the more expensive side. Bristol-London has mostly detached and single-family homes. Homes are more expensive here. The properties are primarily owned, but rentals are available here as well. The homes can be older in this area. Central Newmarket consists of mostly detached homes. There is a split between owned properties and rented properties here. The houses are older in this community. College Manor has condominiums, detached, semi-detached and single-family homes. Homes in this neighbourhood are quite expensive. In Glenway Estates, almost all homes are detached with some semi-detached homes. Majority of the properties here are owned. The houses tend to be older in this area. Summerhill Estates has detached and semi-detached homes as well as single-family homes. Homes in this area are generally affordable, but some homes can be more expensive. The homes here are newer and almost all properties are owned with a small amount of rentals. Woodland Hill has detached, semi-detached and single-family homes. Homes here range in affordability as well. Quite similar to Summerhill Estates, homes are younger and typically owned in this area. Huron Heights-Leslie Valley has single-family, detached and semi-detached homes. The houses here range in affordability and size. Stonehaven-Wyndham has detached and semi-detached homes. The houses in this neighbourhood are more expensive. There is a mix of older and newer homes and the properties here are owned with a small percentage of rentals. Newmarket has two main school boards: York Region District School Board and the York Catholic District School Board. The York Region District School Board has 15 elementary and four secondary schools in Newmarket alone. The York Catholic District School Board has six elementary schools and one secondary school in the city. There are two main post-secondary institutions in Newmarket as well. These are Pickering College and a Seneca College campus. These campuses provide plenty of opportunity for quality post-secondary education in the city.